It’s safe to assume that if you’re reading this text you are one of those guys or girls who take care of their bodies, trying to stay healthy, lean and muscular. Or at least you strife to be. And you are also looking for a way to harden and develop your abdominals. The abs are quite possibly the most coveted muscles in our physique. They are the standard by which we judge So working on their development is the priority of every gym goer. But before we start giving you advice on the individual exercises you can perform to accentuate and develop your abs, let’s make something clear. No amount of abs exercises can trim your waistline by themselves. Spot reducing simply doesn’t work. Targeting a specific body part with endless reps will not make the fat disappear and improve the way you look. It takes much more than that. The first and foremost factor in determining how lean your muscles are, is your nutrition. Without properly balanced diet, you’ll probably fail in more than one area. The other is total body workout. Only then can you focus on targeting a certain muscle group – the abs in this case – and starting to work on its strength and growth. Using weights in your abdominal exercises will help your muscle growth and improve their appearance. The increased abdominal strength will also be helpful for performing other exercises as well. Take a look at our selection of 6 weight exercises for developing stronger and more accentuated six packs. 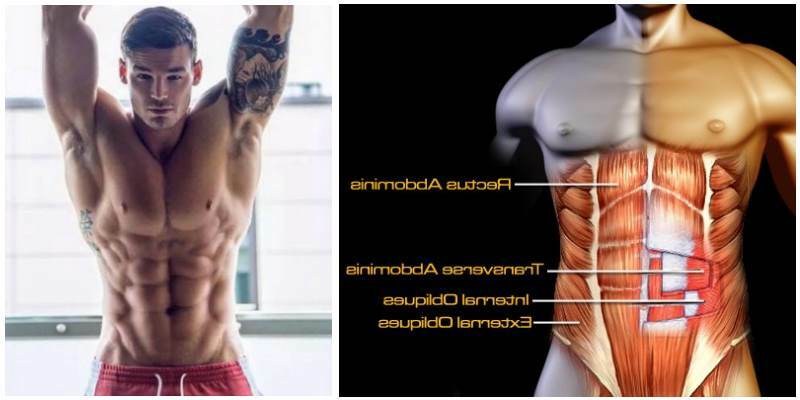 The barbell rollouts activate the whole abdominal region and are perfect for strengthening your core, without placing a greater load on your lower back. In addition, this exercise will your improve your shoulder strength and stability. First get into a push up position, but instead of placing your hands on the floor, grab a barbell. We recommend beginning with an empty barbell. You can start adding weight once you’re able to complete 10 reps. This exercise can also be performed with your knees on your floor, making it less challenging for the beginners. This is one of the most challenging exercises on this list, and probably not all of you can able to perform it correctly. If you are a newbie, we strongly recommend to have someone show you how it’s done properly. In any case, if you want to perform it, you should be able to perform the hanging straight leg raise first. However, when done properly the weighted hanging leg rise is one of the best exercises for your abs, and one that must be included in your routine. In addition to activating your lower abs, it also target a whole range of other muscles. Start performing it light, holding a smaller dumbbell between your feet. Keep increasing the load with each next workout session. Try completing at least 3 sets with 8 reps each. The rolling side plank is especially effective for increasing the strength of the obliques, which function as core stabilizers. As a bonus, you get increased lower back and shoulder strength. We recommend performing this exercise instead of the side bends, because the mechanics of this movement is much more natural. After all, the lateral core stabilizers serve in preventing the lateral flexion, and are not built for performing side to side movement. And since it allows unilateral activation of your muscles, it can help you perfect the imbalances. While the static plank is an effective exercise, you can further increase its benefits by making it dynamic. You can even up its difficulty by adding weighted cable, thus increasing the anti-rotary tension affect. 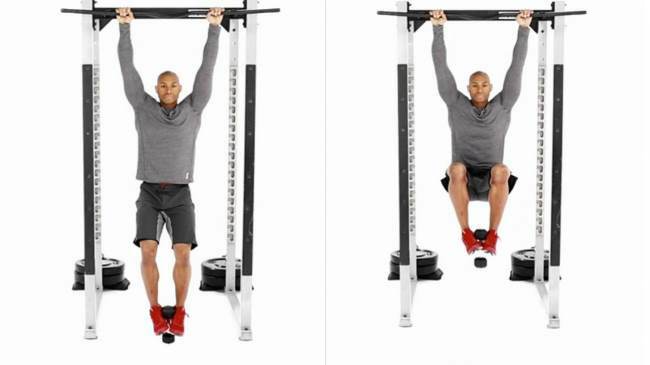 To do this, position yourself near the apparatus, so that the cables are within your reach. It’s crucial that your spine is a neutral position when your perform the motion. Always begin with lighter loads, increasing the tension as you progress. Keep your sets into 8-12 rep range.